Desi Smith/Staff Photo. 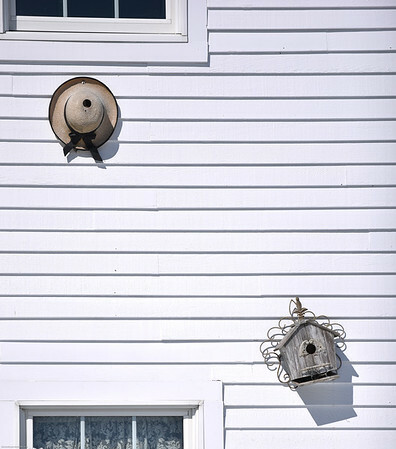 As the old saying goes,"were a man lays his hat is his home" in this case, it became a birds home neighboring next to a traditional bird house that hangs on a home in Essex Saturday afternoon. March 7 ,2015.